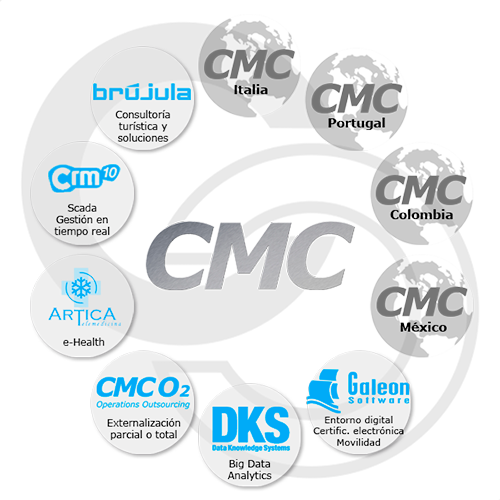 We are a multinational group based in Spain dedicated to management consulting, technology and outsourcing. We were born more than 25 years ago to help our clients adapt and transform technology, creating teams and successful projects. Over time we have built a solid, solvent business structure with a team of professionals with a global vision of business and highly experienced technology. We are present in the main sectors of the economy and in the leading companies in each sector. We are committed to innovation and talent management as a business and social transformer. Our commitment to the world is reflected in our actions of corporate social responsibility through which we promote actions to create a better and more aware world. Contribute positively in the way in which society and companies live and work, providing them with the talent and development of good technological use that will facilitate them to create a better world or a better future. To be the reference technological consultancy for talent and companies that want to evolve and grow through innovation, digital transformation and technological development. We relate closely to a team culture and values such as empathy, integrity and active listening to our stakeholders to meet their needs. Attracting and maintaining talent is one of our fundamental pillars. We follow a methodology based on the improvement and the creation of new ideas that improve the existing one with teams with the capacity to undertake, take risks, think differently with passion and leadership. Our commitment to our customers, workers, suppliers and investors is the way to guarantee our sustainability in that order. We promote the spirit of improvement and the continuous effort from our team to guarantee quality, generating value and exceeding expectations. The responsible, sustainable and constant growth of the group is within our DNA. The ability to adapt to change with agility and flexibility in decision making. Using the best possible factors available to adapt to immediate changes and facilitate their adaptation to the competitive environment and achieve permanent organizational development. People: We relate closely with a team culture and values such as empathy, integrity and active listening to our stakeholders to meet their needs. Attracting and maintaining talent is one of our fundamental pillars. Innovation: We do not fear change because we know the responsibility we have in creating the future. It is the way we have to evolve, grow and adapt to changes with agility and flexibility. Commitment: Our commitment to our customers, workers, suppliers and investors is the way to guarantee our sustainability in that order. Excellence: We promote the spirit of improvement and continuous effort of our team to guarantee quality, generating value and exceeding expectations. Company dedicated to management and technology consulting, which has been operating since 1993, with a solid and solvent business structure, professionals with great experience in ICT and business management, being a benchmark in the market and differentiated by innovation, quality, commitment and effective achievement of results for our customers’ businesses. Company specialized in high added value solutions for companies interested in outsourcing part or all of their business process operations. Company specializing in eHealth dedicated to the consultancy and development of services, solutions and projects based on the application of ICT to socio-health development in order to improve the quality of life and facilitate the work of the medical and scientific community. Company specialized in the development of products, solutions and services for the digital environment and mobility. Company specialized in marketing, distribution and implementation of IT solutions aimed at improving performance and profitability in the management of industrial assets and energy. Company specializing in big data and analytics to facilitate business intelligence, simplify decision making and minimize costs. Company specialized in tourism consultancy and technological solutions. In Grupo CMC we pay great attention to meet the requirements defined in the standards and technical specifications that certify the commitment to the quality of our equipment, products and services. 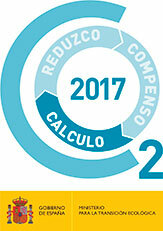 The progressive increase in certifications has special relevance because it shows the degree of competitiveness that industrial and service companies are acquiring, since with the implementation of ISO systems to ensure quality, results are obtained that have an impact on productivity and in the image of the company. The implementation of ISO standards favors planning, the ability to solve problems, the client’s confidence, and even training and personal satisfaction of the employees themselves.